Just yesterday, we shared with you the official Ubuntu Linux 18.10 Cosmic Cuttlefish wallpaper. And yeah, while it looks cool, it's not as exciting as, say, a Beta release of the upcoming operating system. Today, that is exactly what we get. If you like to run pre-release Linux-based operating systems for fun -- which I do -- you can download the ISO immediately. With Ubuntu, these late-stage Beta releases are usually very stable. After all, the final version will drop next month. So while you should install it at your own risk, I would say you are probably safe with it. "The Ubuntu team is pleased to announce the final beta release of the Ubuntu 18.10 Desktop, Server, and Cloud products. 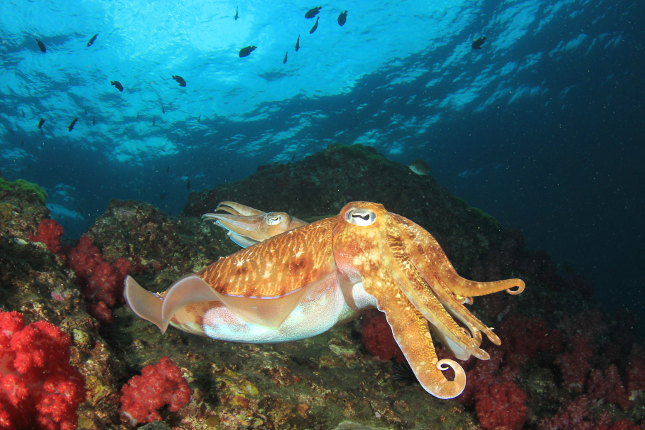 Codenamed 'Cosmic Cuttlefish,' 18.10 continues Ubuntu's proud tradition of integrating the latest and greatest open source technologies into a high-quality, easy-to-use Linux distribution. The team has been hard at work through this cycle, introducing new features and fixing bugs," says Adam Conrad, Software Engineer, Canonical. Conrad further says, "This beta release includes images from not only the Ubuntu Desktop, Server, and Cloud products, but also the Kubuntu, Lubuntu, Ubuntu Budgie, UbuntuKylin, Ubuntu MATE, Ubuntu Studio, and Xubuntu flavours. The beta images are known to be reasonably free of showstopper CD build or installer bugs, while representing a very recent snapshot of 18.10 that should be representative of the features intended to ship with the final release expected on October 18th, 2018." If you can't wait until October 18 for the final version, and you want to try Ubuntu 18.10 Beta today, you can download the appropriate ISO using the below links. Which should you get? Well, while all of the optional desktop environments are great, my personal preference is GNOME found in the standard Ubuntu. With that said, if you have meager hardware, Lubuntu, Xubuntu, and Ubuntu Mate are great choices. Kubuntu is great for Windows converts with a fairly modern PC. Budgie is a surprisingly refreshing option too -- something to keep an eye on.